C. J. Cherryh is a fascinating author. A while back, I read The Morgaine Stories (Gate of Ivrel, Well of Shiuan, Fires of Azeroth, and Exile’s Gate). Her use of tight third-person point-of-view impressed me. For me it was the tightest third-person I had ever read and felt as if it were first-person using third-person pronouns. Her skills at world building and creating characters also impressed me. Reading those stories, I learned techniques that helped me improve my writing. 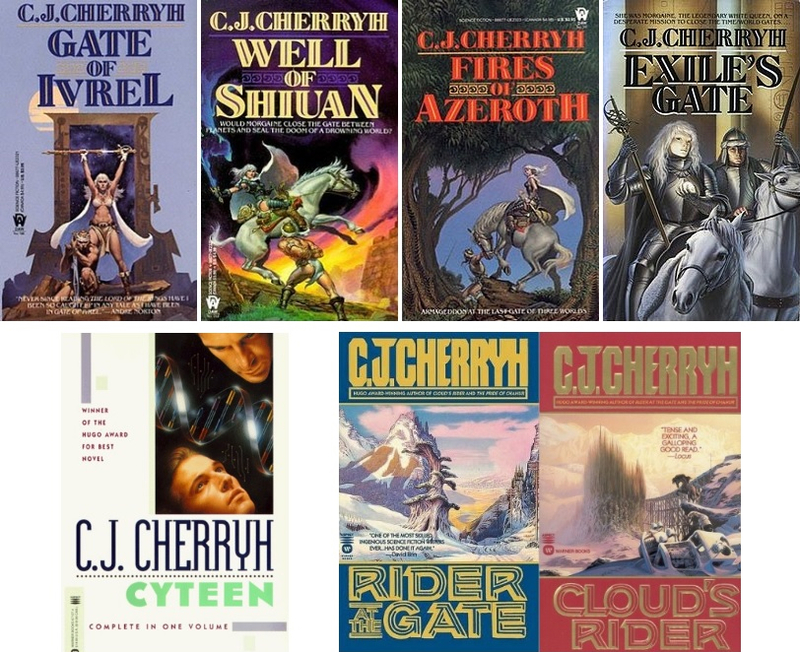 Cherryh’s Cyteen also struck me as incredible in its world building and characters. The story left me thinking about nature versus nurture and what makes each of us what we are. I am still working on how to apply those insights to my own stories. I need to read Regenesis, the next book in the series. Currently, I’m finishing up The Nighthorse Series a.k.a. The Finisterre Series, or The Rider Series (Rider at the Gate and Cloud’s Rider). Again I’m impressed, even awed. I see these stories as having a tight third-person voice, yet at moments, information is exposed in a tone that verges on omniscient. Those moments are so well integrated they flow flawlessly without knocking me out of the tight third-person perspective. Cherryh’s use of language and her sentence structures also impresses me. While my voice is nothing like Cherryh’s, and I will never be able to write like her, or want to write like her since her style does not suit my voice, I am improving my craft skills by reading her work. More C. J. Cherryh books that will enhance my skills sit ready to read in my To Read pile.